What Is in Texas Red Clay Soil? Do Beans Grow Better in Clay Potting Soil or Sand? Can Pea Gravel Amend Clay Soil? What Causes Moss in Flower Gardens? Part of growing a successful garden is soil management. To properly manage your soil, you must be familiar with the type of soil in your garden and the properties of that soil. Unfortunately, clay is the least desirable type of soil for successful gardens and the most difficult to improve through organic amendments. The particles that make up clay soil are so tiny they can only be seen individually under a microscope. They stick together when wet and feel smooth and slippery when rubbed between your fingers. The tiny particles that make up clay soil bond together, creating a heavy, dense structure that makes it difficult for plant roots to penetrate. It takes a long time to warm up and dry out in spring or after rainstorms. Because of its dense heaviness, some plants will not grow well in clay soil. 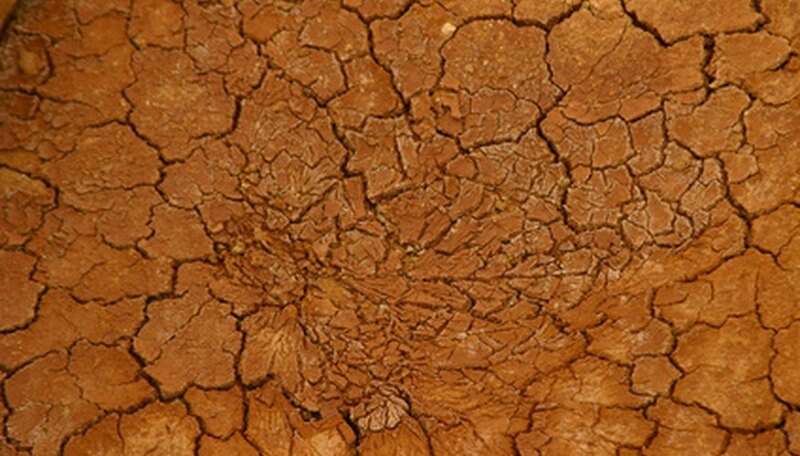 The dense structure of clay soil causes water to drain away slowly. The roots of plants growing in clay soil can sometimes sit in water for several hours to several days, depending on the density of the soil and the amount of rain received. 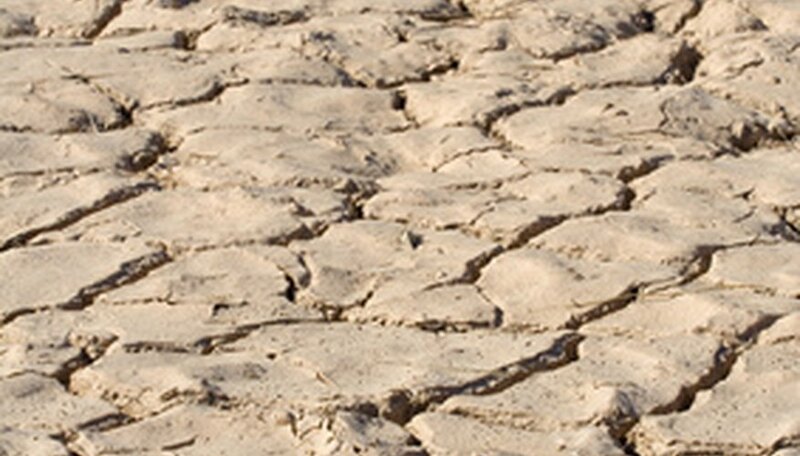 Clay soil also has a tendency to form a hard, impenetrable crust on its surface if it dries out completely, such as during an extreme drought. Most clay soil is considered alkaline; clay soils typically have a pH range between 7 and 8.5. In order for soil to be considered acidic, the pH levels must be below 7. 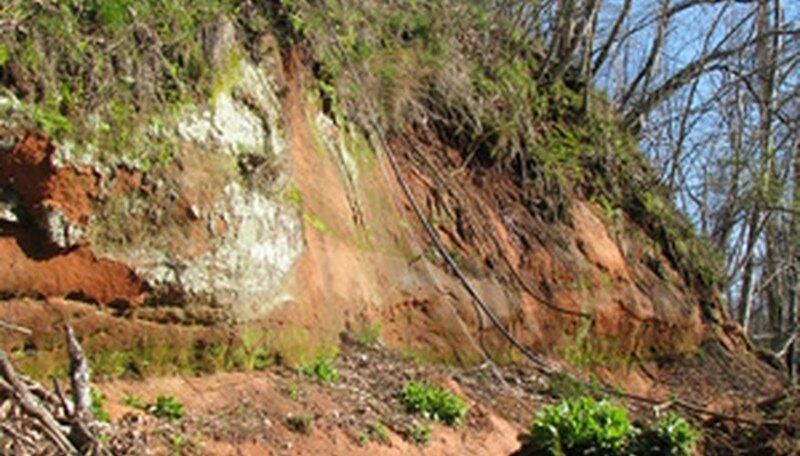 Red clay is technically a subsoil, and it is usually found only where true topsoil has eroded. Poor agricultural practices and soil-stripping development of rural areas have contributed to its prevalence in many areas. Because of the clay's unique composition, red clay soils are often rich in minerals. Calcium, potassium and magnesium are all loaded into red clay, and its water-retaining properties help clay hold onto nutrients such as nitrogen. 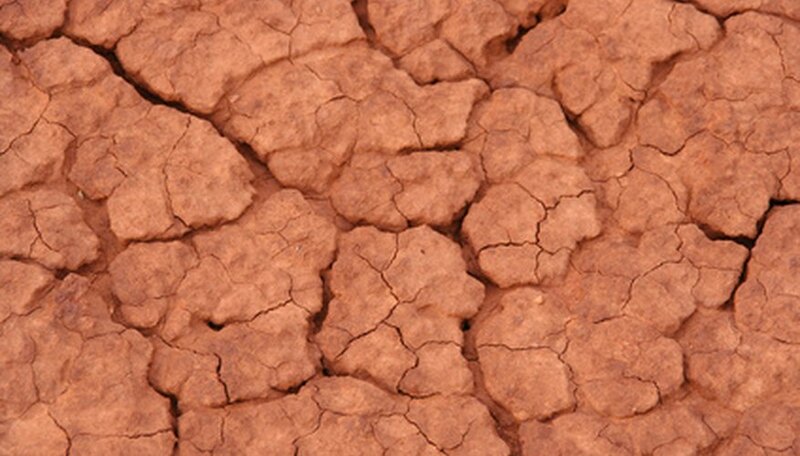 Texas red clay has a low pH, usually near 5.5, which can pose an inhospitable environment to many plants and grasses. You can adjust the pH of red clay by adding lime. Surprisingly, after appropriate tilling, soil amendments and aeration, and with appropriate measures to water frequently during dry weather, red clay soils can support impressive gardens. The U.S. National Resources Conservation Service conducts soil surveys for every county in Texas. The service's website provides detailed information about your county's soil composition. Spread organic matter over the soil (3 to 4 inches of a mixture of peat moss and well-aged compost are standard for most heavy-clay soils). Till the soil to a depth of 1 foot. Till small areas with a spade. Larger areas will require a rototiller. Till the soil again to a depth of 1 foot. This time work at a 90-degree angle to the first direction you went in. To amend clay soil for planting, many gardeners add a 1- to 2-inch layer of coarse builder's sand to the soil before tilling a second time. With the pickax, break up the hard, clay soil to a depth of at least one foot. Use the pointy end of the pickax to break the soil and the other end to slice up clumps of clay. Rake the entire area, further breaking up any clumps with the edge of the rake or your hands. Mix in topsoil with the existing soil and blend thoroughly. The mixture should be at least one-half topsoil; you might need to cart off some of the excess soil you dug out with the pickax. If you like, you may add peat moss or mulch, as well. Apply water liberally to further break down and soften any remaining clumps of clay soil. Mix further with your rake. Let stand overnight, then apply gypsum to the surface using a lawn fertilizer spreader. Use about 40 pounds of gypsum for every 1,000 square feet of dirt. The gypsum will penetrate any remaining fine clay particles and loosen the soil structure, creating air and moisture spaces critical for root growth and development. Water thoroughly and immediately. With its fine particles, clay holds little air and doesn't drain well. It can drown the roots of plants. Clay soil tends toward alkalinity; most plants like a bit of acidity. Clay retains nutrients. Silt, though not as fine as clay, can cause some of the same problems. It can become crusty, encumbering root spread and causing germinating seeds problems in pushing through soil. Sandy soil drains well, though sometimes too well, depriving plants of needed moisture. The drainage can also carry away nutrients. Soil becomes acid. Sand does warm up well, helping germination along. Loam is an ideal mix of sand, silt and clay, with sand the dominant texture. The clay in loam keeps moisture and nutrients near roots, the sand prevents the moisture from getting too extreme and allows for oxygen, which roots need to absorb. Hydrogen potential--pH--restricts the ability of plants to use nutrients, while causing toxic build-ups of others. Sand and clay soil extremes thus cause problems for plants unless pH is adjusted. Lime reduces acidity; sulfur reduces alkalinity. Wait until clay is not too wet to till or too dry. Dry soil is rock-hard and difficult to till. Tilling wet soil will compact the soil and create clods that stick together. Break up the soil with a rototiller to a depth of 8 inches by running the roto tiller in sections over your garden. Spread compost over the soil of your garden to a depth of 2 inches. 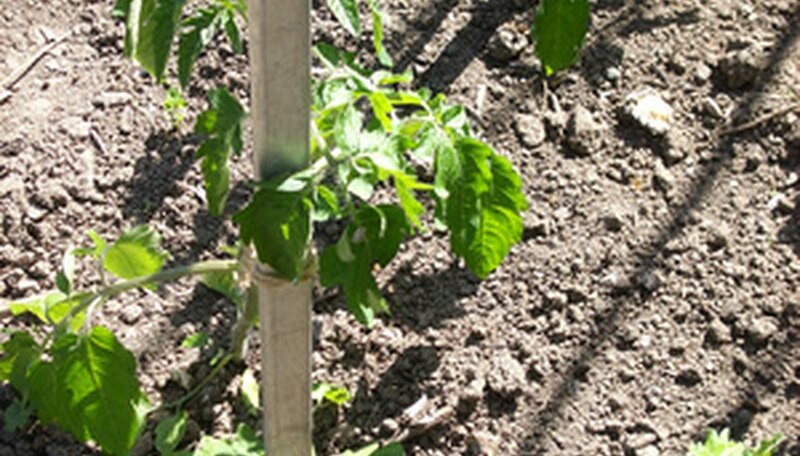 Turn the compost into the soil by running the rototiller over the garden soil again. Test the pH level of the clay. Ideally, the pH should fall somewhere between 5.5 and 7.5. Add lime to raise the pH and sulfur to lower it. Add organic compost material to the clay. Mix this in well. According to the North Carolina Cooperative Extension, the ideal percentage of organic material falls between the 25 percent to 50 percent range. Add basic grass fertilizer after you've mixed in your organic compost material. This will help ensure proper nutrition. Lay down your grass seed according to the manufacturer's instructions. Water immediately after planting. Continue to water every day, or every other day at least, for the first several weeks, until sprouting begins. After that, water during dry spells. Beans prefer sandy soil, but will grow in clay potting soil. Amend heavy clay soil by mixing sand to loosen the soil. Mix the sand into the top 6 to 8 inches of the soil before planting. Plant your beans on a site with full sun. Pea gravel helps amend clay soil, but only to a limited extent. Pea gravel creates temporary spaces for air and water to use to reach plant roots. It does not improve the soil's structure to keep the space open. Only organic material will improve aggregation, aeration and drainage in clay soils. Trees such as aspen, willow, cottonwood, pear and elm thrive in clay soils. Nutrient-rich clay soil holds moisture, enabling trees to have a steady water source. Shrubs that prefer clay soils include chokecherry, dogwood, forsythia, buckthorn and lilac. Clay is present, even in rich, loam soils enhancing its quality and nutrient value, and aiding in its water-retentive capabilities. Bricks fashioned from clay and water and baked hard in the sun have been used for thousands of years to build solid dwellings with sustainable resources. Soils containing too much clay need an amendment of sand or dried grass to be a suitable material for making adobe bricks. Five gallons of clay dirt yields three 4 by 10 by 14-inch adobe bricks, each weighing 28 pounds. Mortar, made from a paste of thinned dirt and water, was used to "glue" the individual bricks together for a more substantial structure and to keep out drafts. 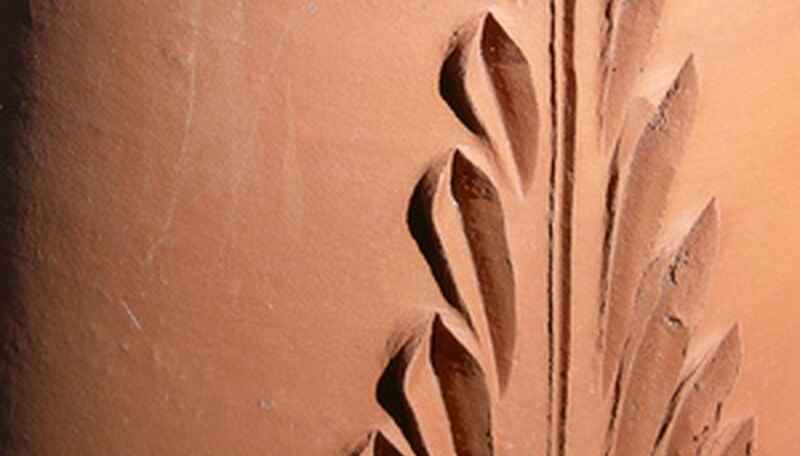 Ancient civilizations discovered many uses of clay soil, such as making clay pots and ovens to enhance their lifestyles. Clay tablets were used by the Mesopotamians, Egyptians and other ancients on which to record important events. Clay trinkets and effigies were fashioned from clay and sun-dried, of which many remain today. Break up the clay soil with a shovel or run over the area with a rototiller. Run the rototiller in two directions over the soil to thoroughly break apart the soil. Measure the area of the garden in feet and write it down on a piece of paper. A garden requires 40 pounds of gypsum for every 1,000 square feet of soil. Pour the gypsum over the tilled area of the garden, and run the rototiller over it again to mix the gypsum into the soil. Pour a generous amount of water into the soil to activate the gypsum. Repeat this process at the beginning of every planting season. Gypsum application will work after several applications, depending on the density of the clay in the soil. Moss in the flower garden can be caused by shade, too much moisture, compacted soil (particularly clay soil), high or low pH and poor air circulation.